Love science but not sure which path to take? The Bachelor of Science lets you design your own degree based on your strengths and emerging interests. 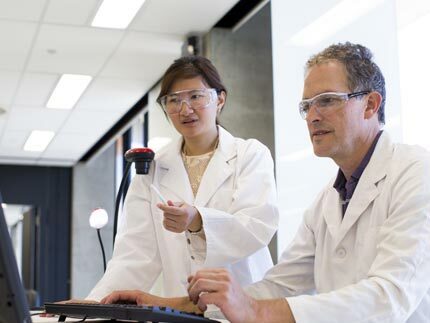 From Chemistry to Palaeontology, Genetics to Geophysics—we support your scientific curiosity. 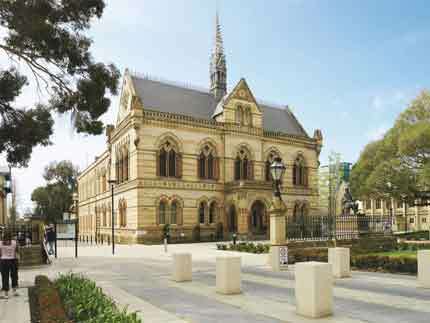 Our degree is ranked best for Science in South Australia, and among the top 150 in the world*. It also has the highest graduate satisfaction ranking for science in the state**. 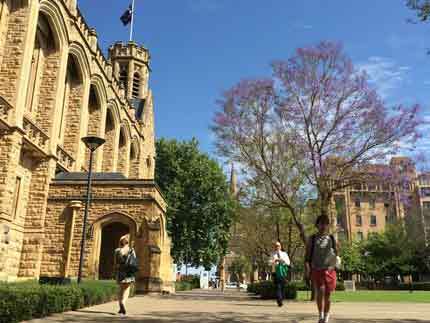 gain global experience with optional exchanges or study tours. You could surround yourself with plants as botanist, work in stem cell research, take up teaching or apply your skills in the business world. You might help the public engage with science through games and apps. Perhaps you’ll launch your abilities as a space entrepreneur, one of the many emerging science roles we’re only just beginning to imagine. February and July. Please note that not all disciplines have July entry. There are no prerequisites for this program unless you wish to major in Chemistry or Physics, in which case prerequisites are required that include Chemistry, Math Studies, Physics and Specialist Maths. Please note that not all disciplines have mid year entry. As a Bachelor of Science graduate, you’ll learn skills that are sought after in a wide range of careers, not just science. This includes skills such as analytical methods, laboratory and field techniques, information technology skills, teamwork, initiative and the ability to communicate and cooperate with people from diverse backgrounds. Refer to the Program Rules for available electives. Biomedical Science involves the biomedical aspects of biology,and focuses on understanding both the normal functions and diseases of the human body. Emphasis is placed on the interface between modern biomedical knowledge and experimental approaches. Students are taught by world-class biomedical researchers and experienced educators. Graduates gain employment in medical or research laboratories, hospitals, private industries, the pharmaceutical industry, sports clinics, the biotechnology industry, forensic science, food science and nutrition, cardiac technology, rehabilitation, chiropractic's and teaching. Chemical Sciences involves the study of the structure, physical and chemical properties and reactions of elements and compounds. Students learn how to apply this knowledge to develop new and useful chemicals such as plastics, fuels and pharmaceuticals, for use in manufacture, medicine and the environment. A wide range of professional careers may be sought by graduates including environmental monitoring and control, mining, forensic science, nanotechnology, the pharmaceutical industry, medical and agricultural laboratories, manufacturing, food technology, the chemical industry, research and teaching. Earth Sciences involves the study of how our planet is built, how it works, its turbulent 4.5 billion year history and how its precious resources can be located and used. It also investigates how the fragile landscape and often hazardous natural events must be studied and understood to allow them to be adequately managed. Earth Science is one of the most diverse of the sciences covering everything from meteorites to dinosaurs and from gold deposits to volcanoes. Graduates may seek a wide range of professional careers in areas including resource management, environmental geology, mineral exploration, organic geochemistry, seismology, geomorphology, palaeontology, industry and fundamental research. Evolutionary Biology and Ecology allows students to investigate the diversity of life on earth and the relationships between organisms and their environments. Students will learn about plants and animals, their ecology, conservation and management, physiology and evolution, including those in terrestrial, freshwater and marine systems. Fieldwork and the study of South Australian ecosystems are important components of many later year courses. Exciting careers exist in environmental consultancy, environmental monitoring and management, marine science, aquaculture, community education, ecotourism, wildlife parks, catchment management, research and teaching. Fieldwork and the study of South Australian ecosystems are important components of many later year courses. 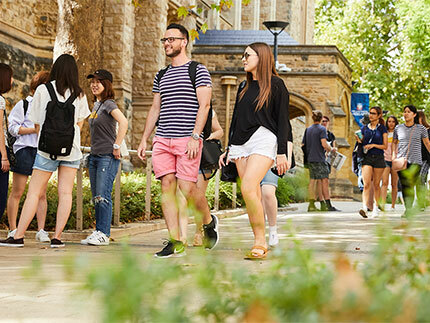 Spatial Science allows students to assess, map and monitor the Australian landscapes using the latest technology in geographical information systems, remote sensing, and spatial modelling. Physics provides an understanding of the structure of matter and the nature of the universe. You will develop a detailed knowledge of areas which can include astrophysics, atmospheric and environmental physics, computational physics, optics and lasers, photonics and nuclear and particle physics. Mathematical and computer science courses are often taken together with physics. Employment opportunities exist for graduates in electronics, optics and laser industries, scientific computing, telecommunications, space and astronomy programs, forensic science, defence, health and environmental industries, medical physics and in research. Soil Science explores the biological, chemical and physical properties of soils in Australian landscapes and uses the latest technology in geographical information systems, remote sensing, and spatial modelling to monitor distributions of landscape properties. Graduates are keenly sought after by a wide range of government agencies, regional bodies, private enterprise and universities to work in the fields of oil surveying, environmental planning, soil conservation, environmental impact assessment, environmental engineering, land assessment and mapping, research and biodiversity survey and assessment. Varies according to chosen major but may include assignments, practicals, field reports and exams. "Studying science opened up a whole world of ideas. It led to a real awakening for me and ignited my passion in trying to address the environmental and social issues I learned about."